It is a fact that people with oily skin have a hell of a time dealing with it. And the hot and humid climate during summers can make things worse as it not only causes sweating but also leads to excessive oil production. Moreover, the large pores due to active sebaceous glands lead to accumulation of dirt, which if not cleaned properly can lead to pimples and acne. Hence, it becomes imperative to take extra precautions to take care of oily skin irrespective of the season. Most people often resort to using high-end skincare products, which is not a feasible option for everyone to get rid of oily skin. But there are a few simple and effective home remedies for oily skin which are worth a try to get rid of this skin problem. Why do you have to spend a bomb when you can control and avoid oily skin at your home? With simple kitchen ingredients like cucumber, oatmeal, aloe vera, and apple, you can control oily skin at the comfort of your home and that too with minimal side-effects. These home remedies not only help you to get rid of oily skin naturally but also give you a clear, glowing skin. Lemon juice is hailed as one of the best natural remedies for oily skin. It is rich in citric acid, a compound that helps in the absorption of excess oil and also prevents acne breakouts, which are common in people with oily skin. Moreover, the antioxidants in lemons help in clearing toxins and dirt from the skin, thus preventing pimples and acne. How to use it: In a bowl, take 2 teaspoons of lemon juice. Add equal quantities of water in it and mix properly. Apply it on the face and wash it off with water when it becomes dry. If you have pimples, then you can make a face pack using turmeric powder and lemon juice. Apply it on pimples and wash it off with plain water. Do this regularly to get rid of pimples and oily skin. Tip: As lemons are acidic in nature, it might lead to breakouts when directly applied to the skin. Hence, always use it in a diluted form or along with other ingredients such as rose water or aloe vera. Also, some people are allergic to lemon juice, so do a patch test to be on the safer side and prevent allergies. For this, apply lemon juice solution on any skin surface but the face and wash it off after 30 minutes. If you get any skin rashes, redness or irritation, then it is advised to not use lemon juice for oily skin. The best home remedy to get rid of oily skin naturally is aloe vera. The astringent property of the gel removes excess oil from the skin and also reduces the size of the inflamed nodules, preventing acne breakouts. If applied regularly, aloe vera unclogs the pores and tightens the pores, thereby preventing excess oil production and also eliminate acne due to the buildup of dirt. How to use it: You can directly apply aloe vera gel to your face twice or thrice a day to fight oily skin. Allow it to remain for 20-30 minutes and wash it off with cold water. You can also add oatmeal to aloe vera, which makes it an excellent exfoliating pack. Tip: If you have pimples, it is wise to not use oatmeal along with aloe vera as over-scrubbing can not only irritate the skin but can also worsen the condition. Cucumber is one such natural remedy that works wonders for all skin types. For people with oily skin, this natural ingredient acts as an astringent agent which tightens the open pores. The vitamins and minerals in cucumber also make it a powerful cleansing agent, providing you soft and supple skin. How to use it: To use cucumber for oily skin, you have to apply its juice. You can extract cucumber juice by either squeezing grated cucumber with your hands or grinding its slices in a mixer and then straining the juice. You can even add a few drops of lemon juice to it to make it more effective for oily skin. Tip: During summer, you can even rub cucumber slices on the face directly as it exerts a cooling effect on the skin. Moreover, it also nourishes the skin and hydrates the skin helping your skin to stay oil-free and healthy naturally. Multani mitti also known as Fuller’s earth can help you to get rid of oily skin naturally. A natural clay, it is rich in minerals that absorb excess oil, sweat, dirt and other impurities from the skin. It tightens the skin along with retaining the moisture to keep the skin glow naturally. How to use it: Add a tablespoon of Multani Mitti in a small bowl. To this, add an adequate amount of rose water to make it a thick paste. If rosewater is not available, you can add plain water to it. Apply the paste to the skin and let it dry. Wash it with cold water. Do this regularly for effective results. 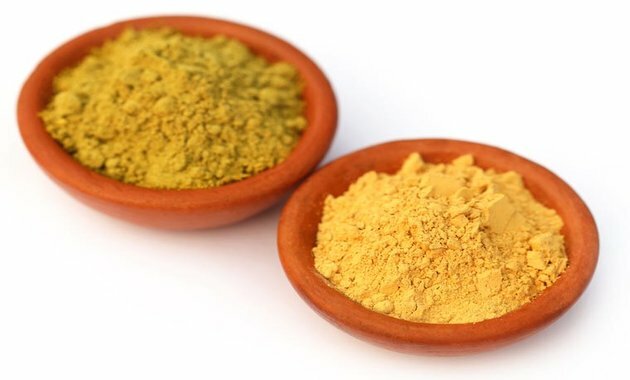 Tip: If you are looking for natural remedies to get rid of pimples and acne, then you can use multani mitti. The antibacterial properties of it not only help get rid of bacteria but also improves your skin tone. We all know that eating “an apple a day keeps the doctor away”. However, do you know that apples can also be used as a home remedy for oily skin? Yes, apple acts as a mild astringent agent, which absorbs the excess oil from the skin and help control oily skin. The Vitamin C in apple restores collagen content of the skin and clears toxins from the skin. How to use it: You can apply grated apple juice on the face directly to treat oily skin at home. You can also make an apple face pack with lemon juice and yogurt. Add a teaspoon of grated apple, half a teaspoon of lemon juice and a spoonful of yogurt. Mix properly and apply on the face. Wash it off with lukewarm water. Tip: Eat an apple every day to reap its health benefits along with its skincare benefits. The best way to use it for oily skin is to use a fresh one rather than using one stored in a refrigerator. Tomatoes are known to be good for the skin because of its antioxidant, astringent and cooling effects. The oil absorbing acids in tomatoes not only absorb excess oil from the skin but also prevent excess oil formation by tightening the skin pores. It also retains moisture in the skin and eliminates toxins from the body. How to use it: Cut tomato into two halves and rub one half of it on the skin. Let it dry naturally and rinse with cold water. Alternatively, you can also apply tomato juice or paste on the skin to reap its skincare benefits. Tip: Tomatoes are rich in natural acids, which might be too harsh on the skin. In such a case, you can mix honey with tomato juice to lessen the drying effect. Moreover, it also acts as a moisturizing agent. Egg white contains natural astringent compounds, which shrink and tighten open pores, thus helping to control the excess sebum production. It also draws out excess dirt from the skin. The proteins in egg white enhance the elasticity of the skin and give you youthful skin. How to use it: Whip an egg white till it becomes slightly thick and apply it directly on the face. Let it dry naturally and then wash it off with lukewarm water. Tip: Some people are turned off by the strong odor of the egg white. In such a case, you can mix a teaspoon of lemon juice and a drop or two of lavender oil to egg white before applying it on the face. Also, do a patch test before applying it on the skin to rule out an allergy. In addition to this, remember to stay away from oily food and drink lots of water for healthy skin. Avoid heavy make-up especially oil-based ones since it can clog the pores. Go for light water-based make-up and gel-based sunscreen. A healthy lifestyle and a few simple face packs will keep your skin looking healthy and youthful for years to come. Stay Healthy, Stay Happy! How To Choose A Good Moisturizer For Your Skin? Read This! Chularojanamontri L, Tuchinda P, Kulthanan K, Pongparit K. Moisturizers for Acne: What are their Constituents? J Clin Aesthet Dermatol. 2014 May;7(5):36-44. Mukherjee PK, Nema NK, Maity N, Sarkar BK. Phytochemical and therapeutic potential of cucumber. Fitoterapia. 2013 Jan;84:227-36. Roul A, Le CA, Gustin MP, Clavaud E, Verrier B, Pirot F, Falson F. Comparison of four different fuller’s earth formulations in skin decontamination. J Appl Toxicol. 2017 Dec;37(12):1527-1536. Trehan S, Michniak-Kohn B, Beri K. Plant stem cells in cosmetics: current trends and future directions. Future Sci OA. 2017 Jul 12;3(4):FSO226. H K Bakhru. Vitamin That Heal. Orient Paperbacks, 2005, 216 p.